In our present-day economy, students need all the help they can get. Here’s some information about how to find financial help in Alabama. Scholarships and grants are also called ‘gift awards’ and this means that they don’t have to be paid back. There are a few instances where a grant or scholarship will become a loan (and will have to be paid back) if a student does not fulfill one or more of the conditions under which the scholarship was awarded, but these types of grants are in the minority. In Alabama, most of the available grants and scholarships are administered by the University of Alabama’s Nursing School, which assists students with completing the grant application forms and also announces exactly when the applications’ submission deadlines are. Monies have been made available to Alabama nursing students by various organizations including the Alabama Commission on Higher Education, the Baptist Health System, and several memorial funds. Most, if not all, of these scholarships and grants are available for Alabama residents only and most also specify that the recipient must pursue their qualification in Alabama. There are even a few that stipulate that a student has to stay and work in Alabama after their graduation and this is usually the clause that, if contravened, will convert the grant into a loan. This list is not exhaustive and further information can be obtained from the University of Alabama’s various websites. This scholarship was developed for those residents of Alabama who want to pursue a career in nursing and usually lasts for one year, although it may be renewed. The program is administered through different educational institutions and related organizations and the exact deadline for the submission of applications will be dependent on the individual organization’s requirements. The applicants must already be admitted to nursing programs in Arizona-based educational institutions. Further information about this scholarship program can be obtained from The Alabama Commission on Higher Education, Attn: Grants and Scholarships Department, 100 North Union Street, P.O. Box 302000, Montgomery, AL 36130 (tel: 334-242-2274 and website: www.ache.alabama.gov). He or she is currently achieving a 2.5 or higher grade point average in their nursing school’s undergraduate program. The scholarship is administered through the University of Alabama’s Financial Aid Office and they can be contacted for further information at The School of Nursing, Office of Student Affairs, 504 University Boulevard, Tuscaloosa, AL 35487 (tel: 1-800-313-3591 and website: nursing.ua.edu). Students must also file three letters of recommendation (one from a clergy member, one academic and one personal or work-related). If awarded the scholarship, students must sign a contract in terms of which they undertake to begin full-time work with the Baptist Health System within 30 days of their graduation. 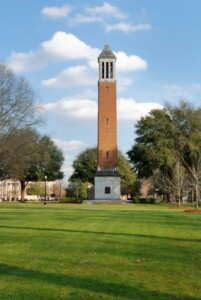 This scholarship program is also administered through the University of Alabama and questions concerning the program can be answered by the University’s Birmingham Student Affairs Office, 503 Hill University Center, 1400 University Boulevard, Birmingham, AL 35233 (tel: 205-934-6290 and website: uab.edu). The student must be an Alabama resident and a US citizen. This scholarship can be awarded to the same student more than once but only if that student is enrolled for full-time study every time it is awarded. Further information about this program can be obtained from the UAB Student Affairs office (see above for contact details). Students must be currently enrolled in or admitted to a program at the University of Alabama School of Nursing that will provide them with a nursing degree when qualified. Anyone can apply but preference will be given to those who are Alabama residents, those who want to work in the Alabama health care system after graduation and those who are studying full-time. Further information can be obtained from the UAB Student Affairs office (see above). Are there any scholarships or programs available for students who attend bevill state? I would like to attend Alabama but am planning on finishing the ADN program at Bevill first, then transfering to UA for the RN to MSN tract. This would give me an opportunity to work while going to school. I know that I will work in the state of Alabama after I finish school as well. looking for information on applying for grants and scholarships for nursing school.Thank you for your help. Hello, I have completed all my general study courses, therefore I qualified to graduate with my AS in Psychology. However I am desiring to become a RN, in AL please provide me with scholarship information so I may achieve another milestone. I have a heart helping desire to become a nurse. I am ready to apply for my nursing program in AL at Wallace State Community College but I am having trouble finding scholarships to pay for the program. Any assistance you can give would be appreciated. I am looking for any scholarships available for a RN associates degree any help would be appreciated!